The Missouri General Education Assessment, or MoGEA test, is now a requirement for those seeking entrance into an educator preparation program in the state of Missouri. Indeed, before you continue with your education studies, you must prove your understanding of major subject areas by passing this exam. 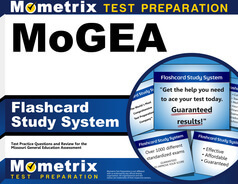 The MoGEA test is a five hour examination, which consists of an equal distribution of 160 multiple choice questions over four sections that pertain to English Language Arts, Mathematics (Yes, you are provided with an on-screen four-function calculator and a formula page for the Mathematics section. ), Science, and Social Studies with one written assignment. You may have experimental test questions that will not influence your score, but they will help test designers decide how to frame test questions for future exams. When you receive your final score, you will need to inquire of your educator preparation program to know if your scores meet their standards. For, each program differs on their required scores for entrance into their education program. Also, there are opportunities to retake the exam, but some educator preparation programs differ on the number times that you may take the exam. So, you need to study early and diligently for this critical test. Allow Mometrix Academy to aid your preparation with our tutorial videos that are available at no cost to you. We wish you the best as you study and pursue your dreams of guiding the next generation of students. 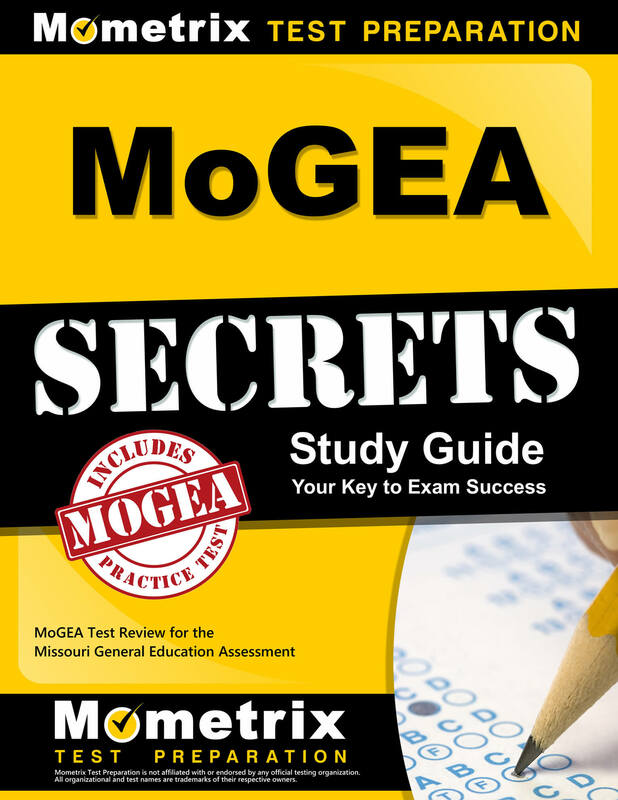 Use the free MoGEA practice test questions below to get a better understanding of the MoGEA exam. Take advantage of this valuable resource to pinpoint your strengths and weaknesses. Mometrix Academy is a completely free resource provided by Mometrix Test Preparation. If you find benefit from our efforts here, check out our premium quality MoGEA study guide to take your studying to the next level. Just click the study guide link below. Your purchase also helps us make even more great, free content for test-takers.